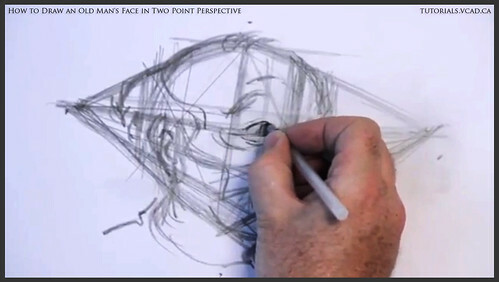 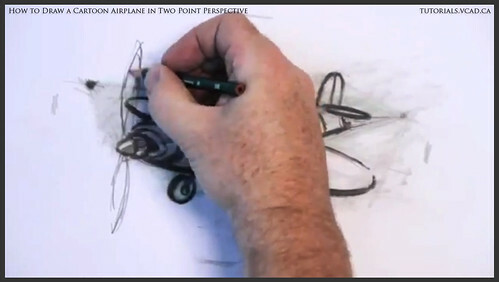 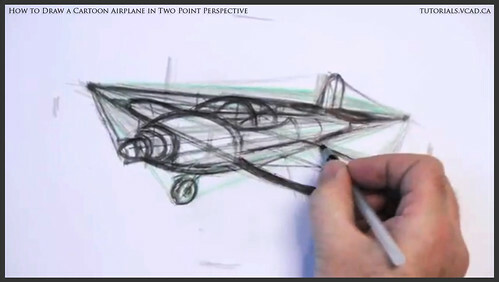 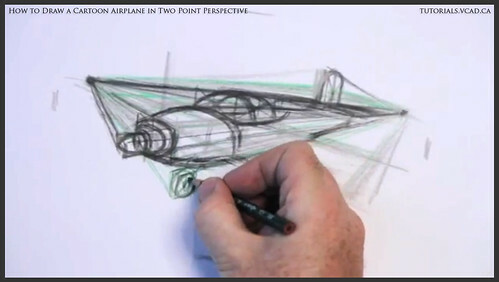 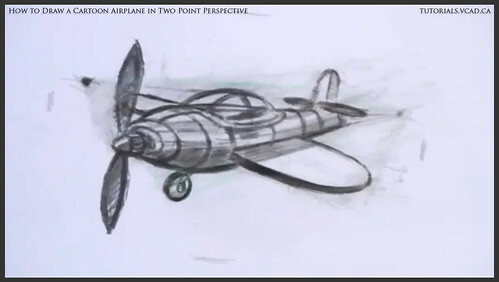 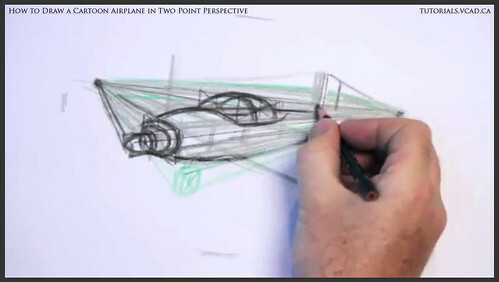 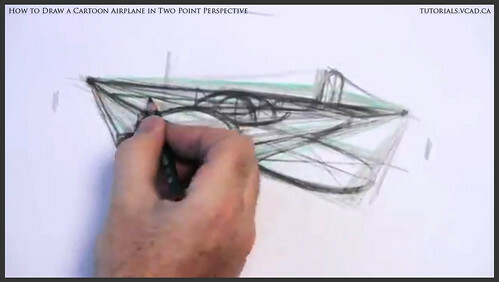 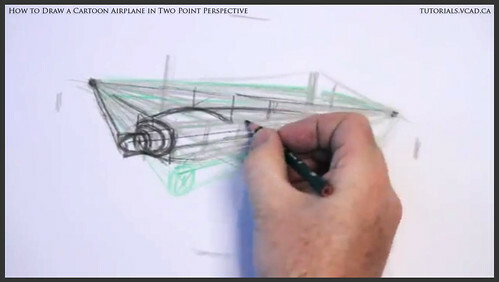 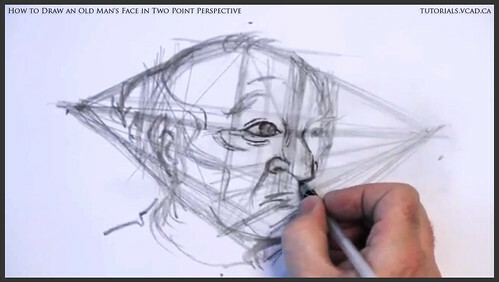 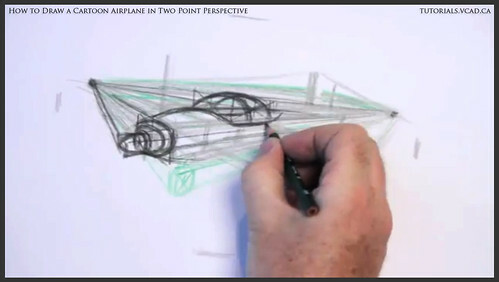 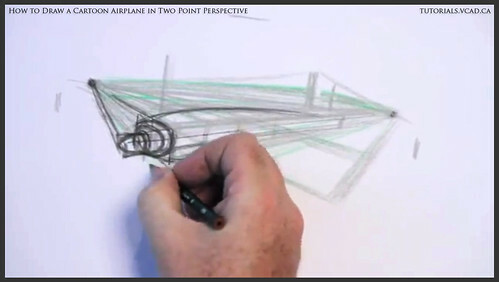 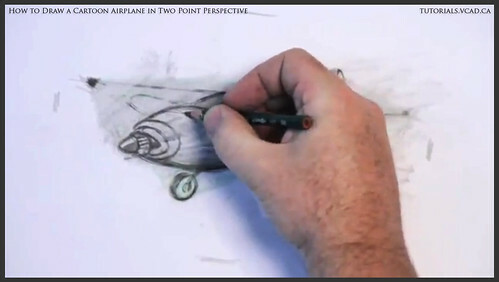 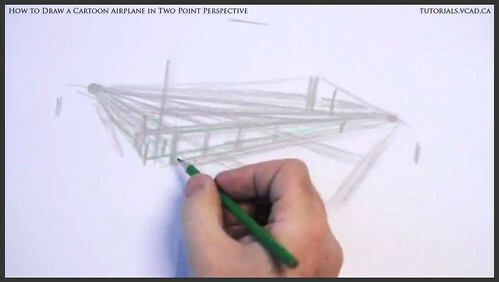 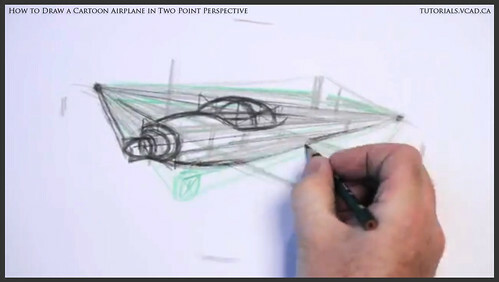 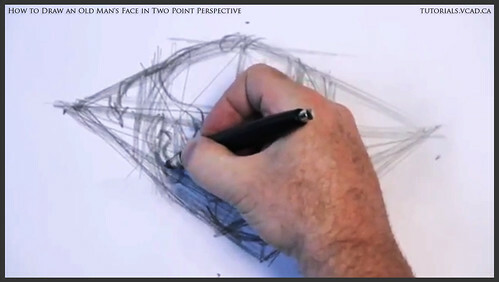 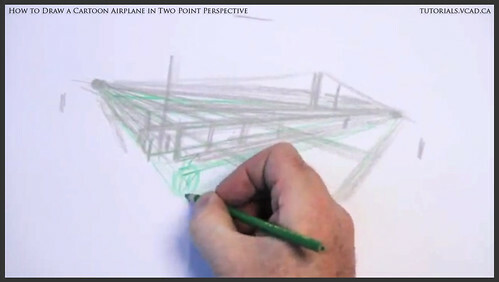 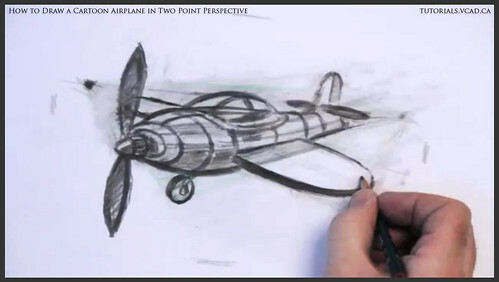 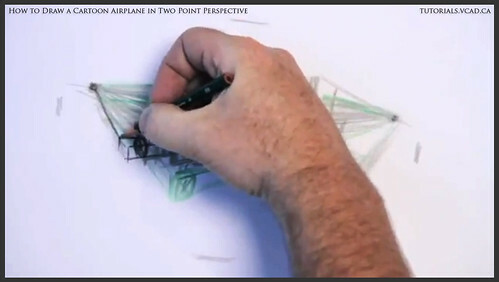 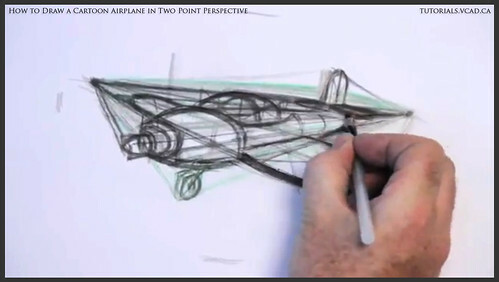 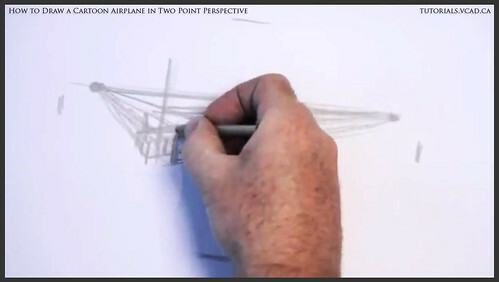 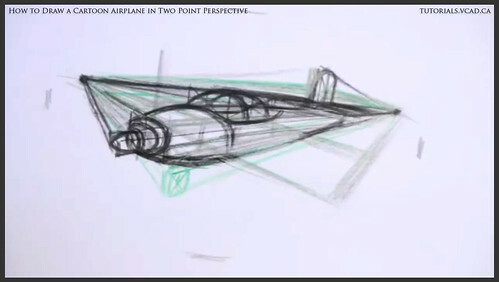 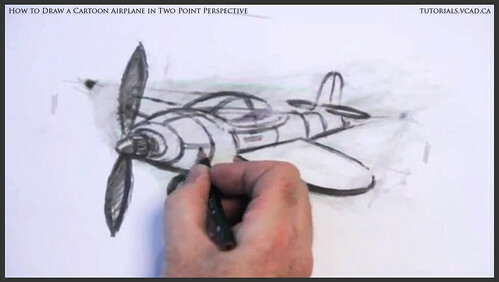 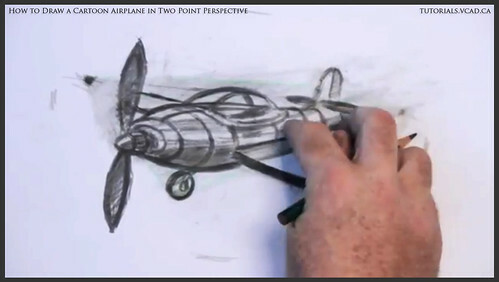 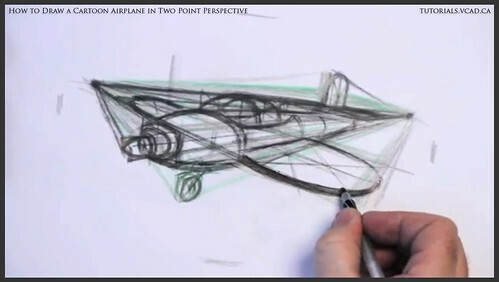 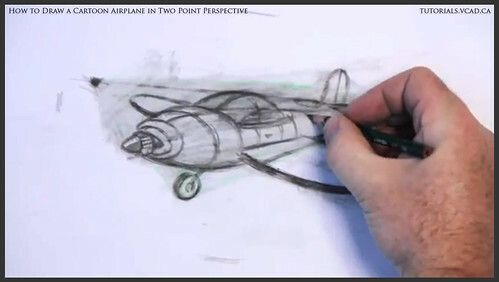 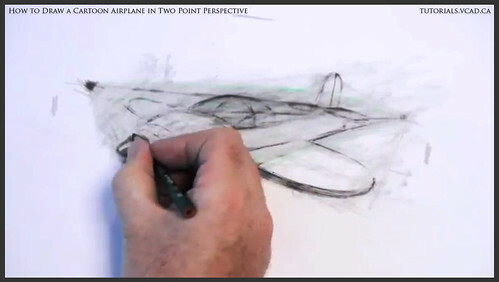 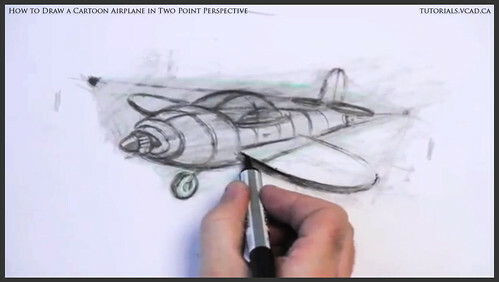 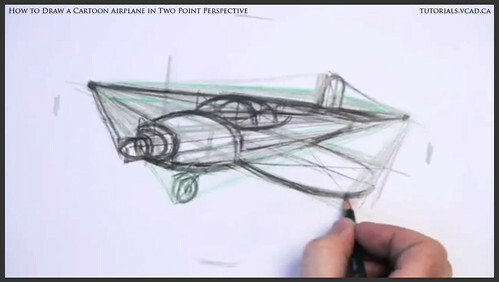 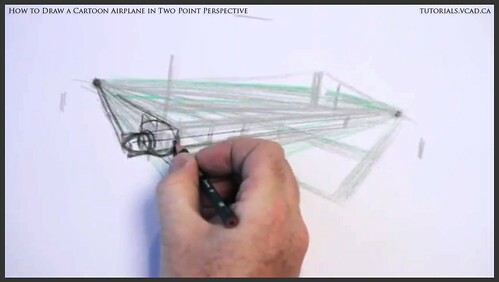 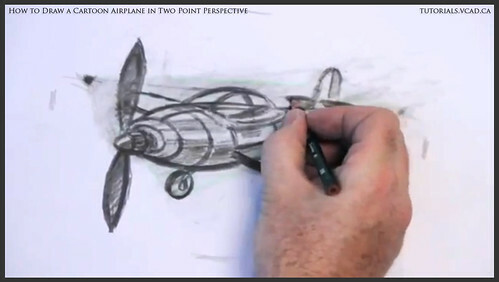 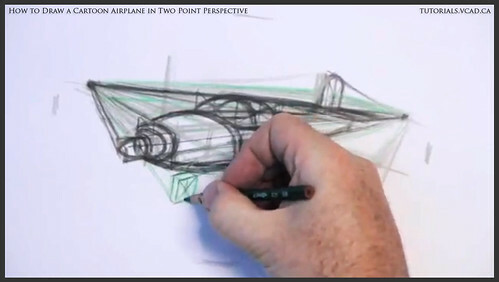 Learn how to draw a plane in two point perspective with the Storyboarding, Drawing and Animation Instructor at Visual College of Art and Design of Vancouver (VCAD) Glen Kennedy. 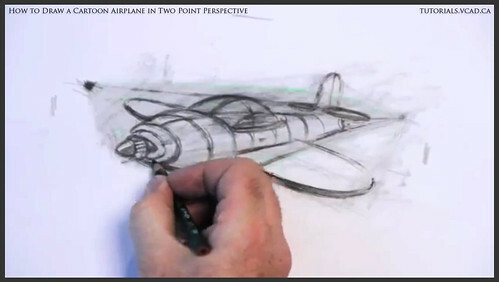 Let's take another much darker pencil and start adding details. 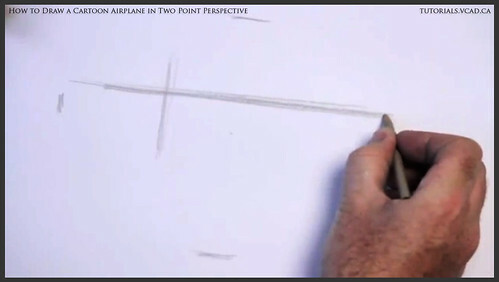 When you draw a circle in perspective start with a rectangle first, then you dissect the corners down to the middle in the center and try to pre-hand those points to draw the circle in perspective. 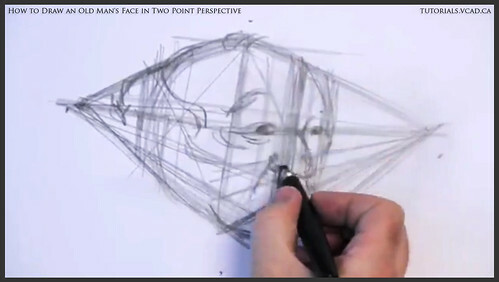 Creatively let's get some shapes in here and follow some of the line work we have carved in. 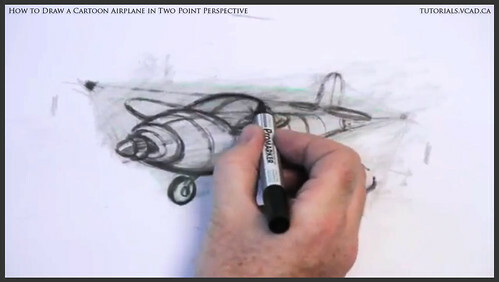 Sit back and think what you can do to add some details in order to add some life to the airplane. 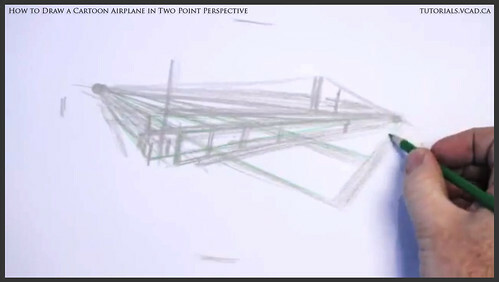 Let's start to make some shapes on the top of the airplane. 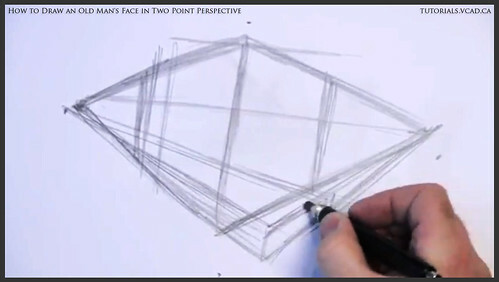 It is about adding creative details to the rectangles. 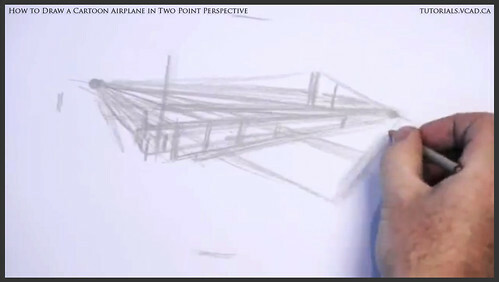 Add some curves by dissecting corners down to the center in that way we will make sure that the curves hit the vanishing points and our drawing is in perspective. 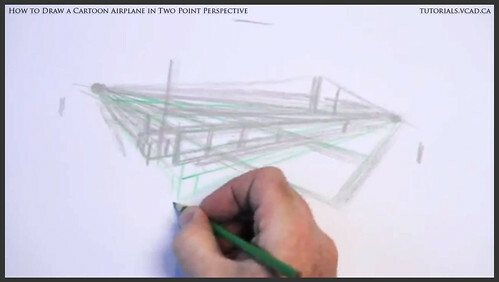 Let's move on with the back of the airplane. 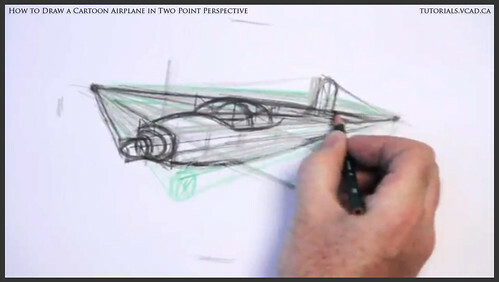 It is very essential to hit the vanishing points! 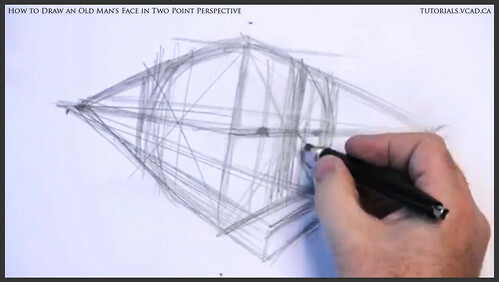 Make sure that you have rectangles first and then you can add details and curves. 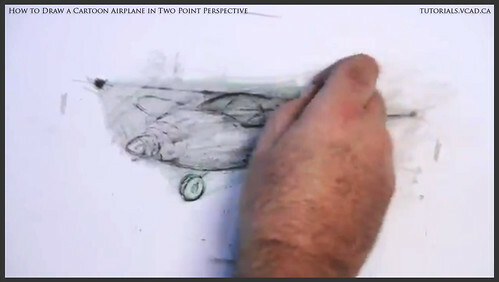 Keep adding some creative details and have some fun with that! 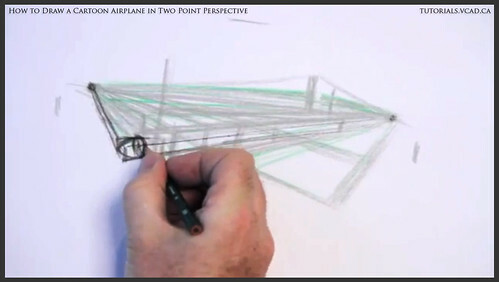 Let's darken the edges underneath the airplane, slow down a bit and pick up the lines that we want to enhance. 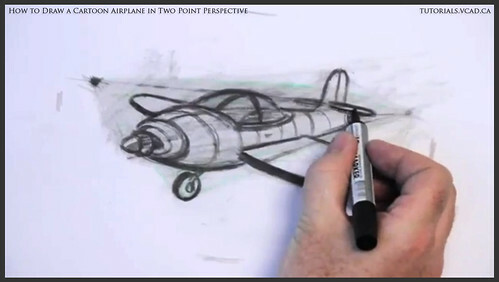 It is essential to get some confidence while you are drawing because it will give you better results. 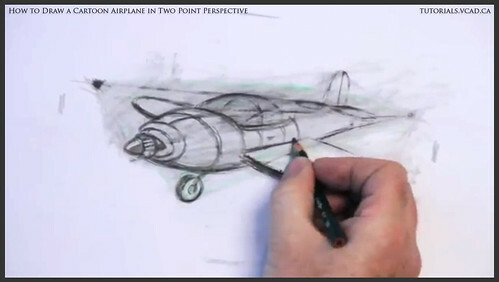 Now let's switch to the softer pencil because I'm not really sure where the wings of the airplane are going to be yet. 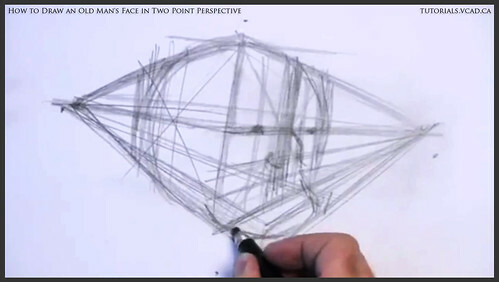 I have a shape here, but I want to go over and revise it. 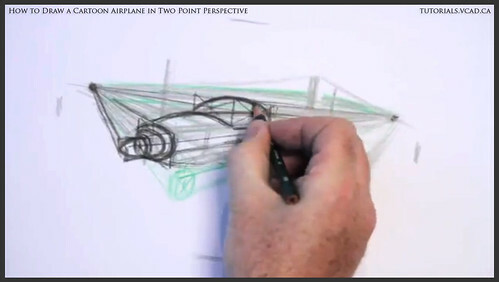 Let's see what we can do to get a circular shape for the wing. 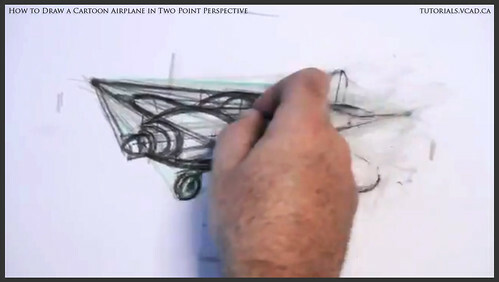 Let's block the wings and wheels of the airplane. 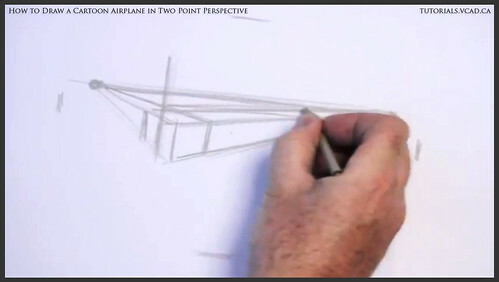 If you know how to draw a rectangle in perspective you can basically do everything. 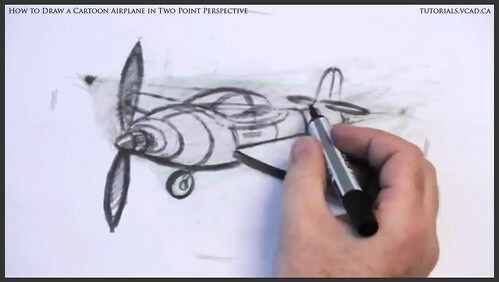 Now let's switch to the pen. 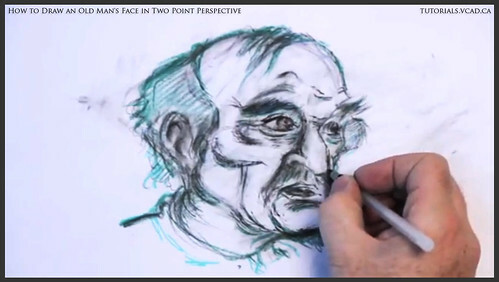 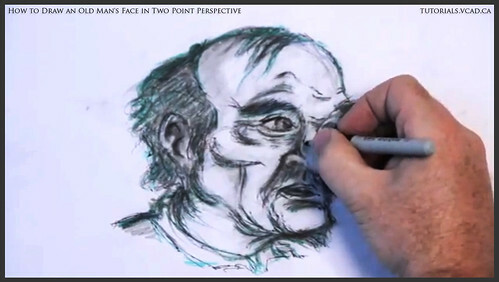 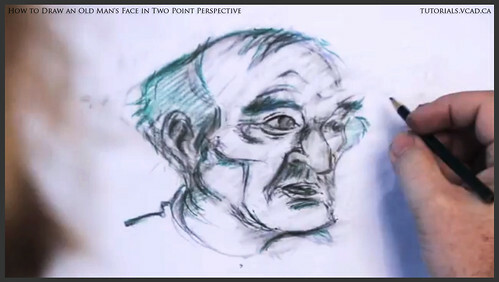 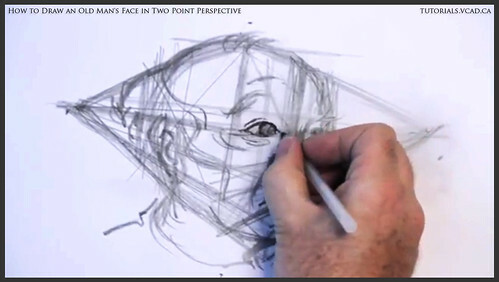 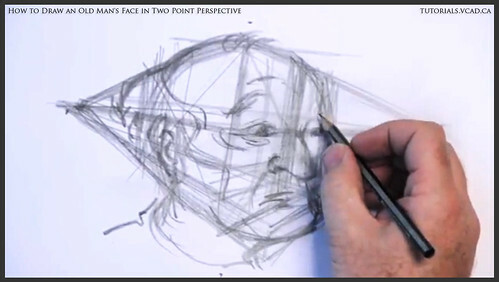 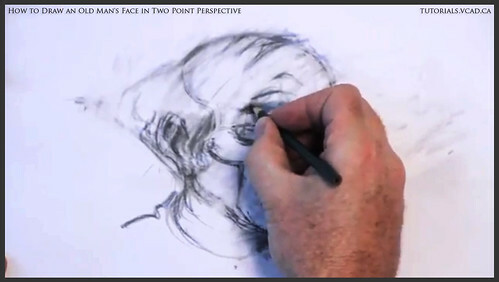 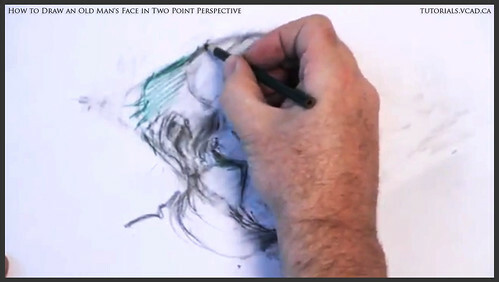 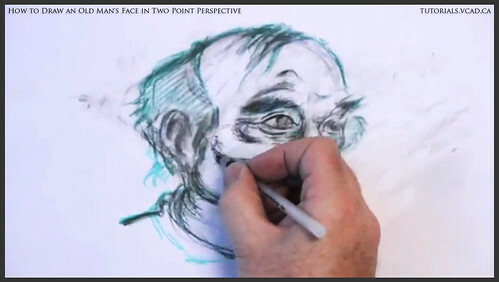 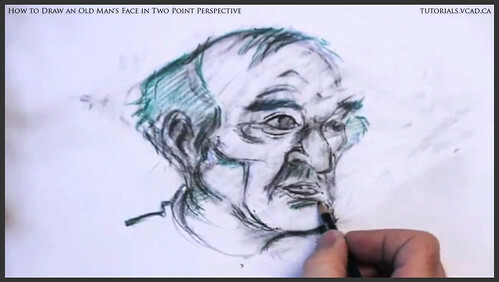 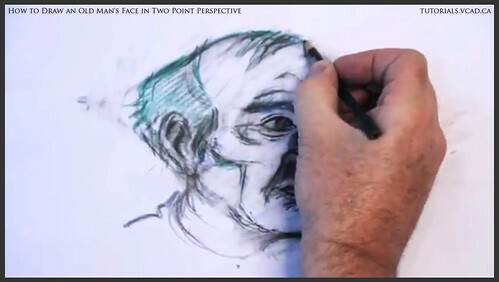 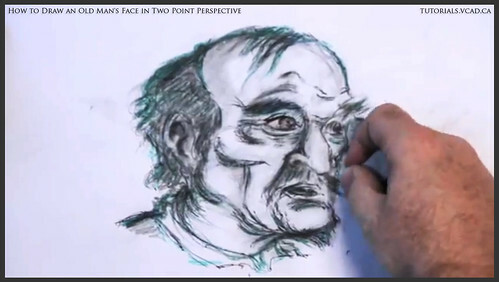 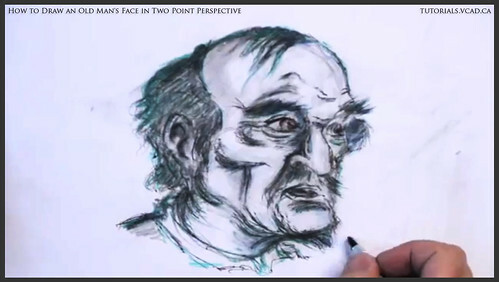 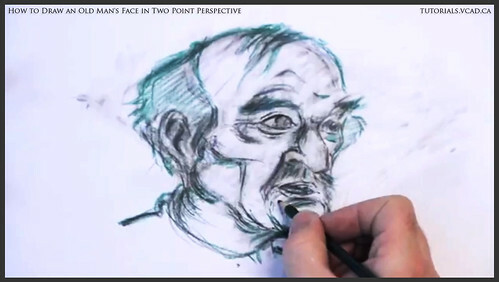 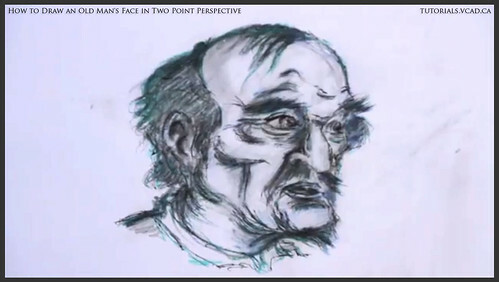 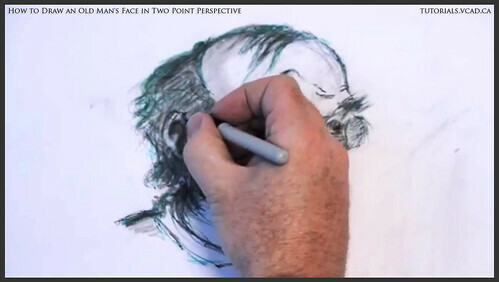 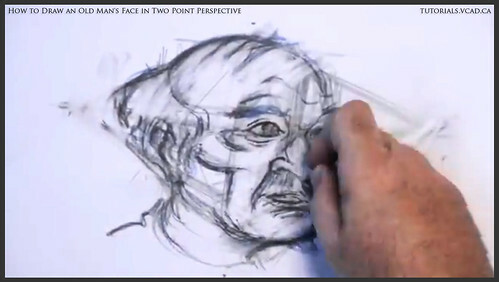 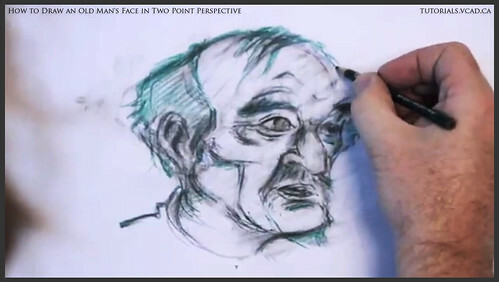 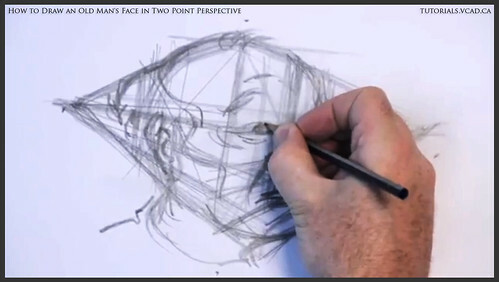 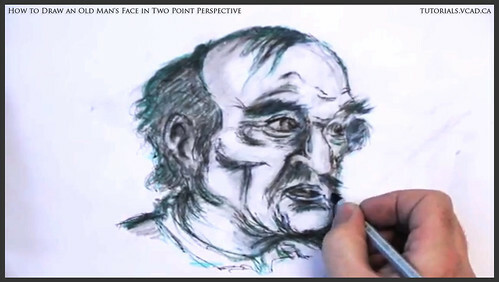 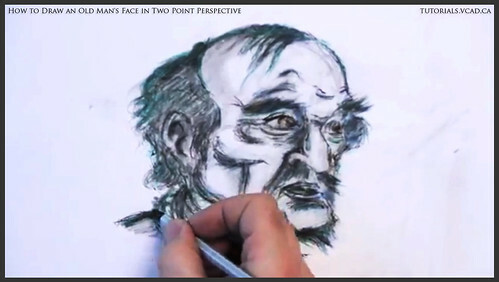 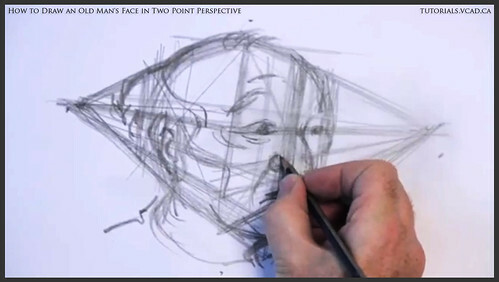 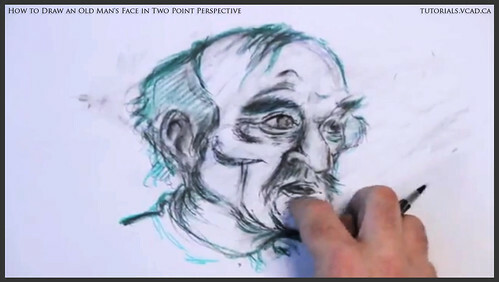 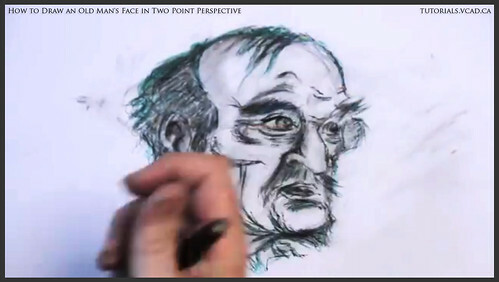 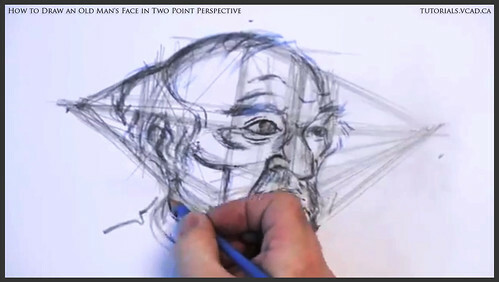 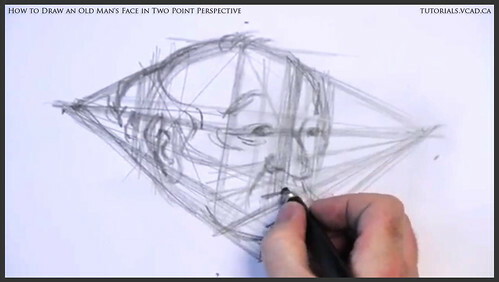 Gain some confidence and draw over the pencil lines to give some structure to the drawing. 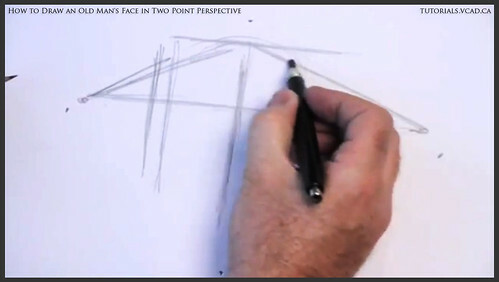 Look and think what kind of details you want to add. 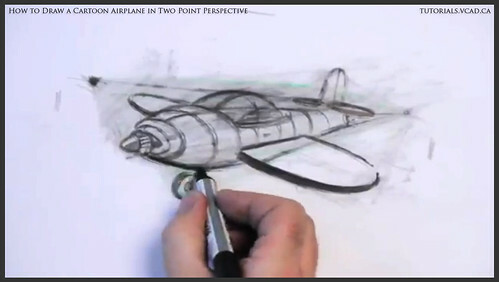 More you add now will look better later after you color the drawing. 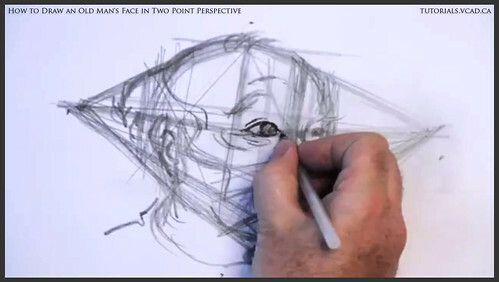 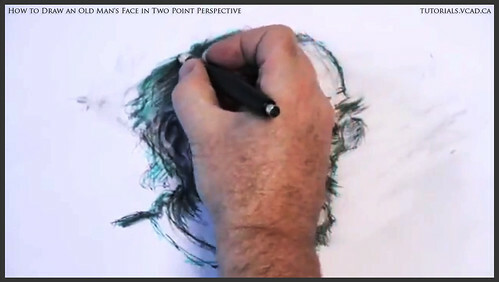 Think about adding some sense of depth to the drawing by working on the line quality and highlights. 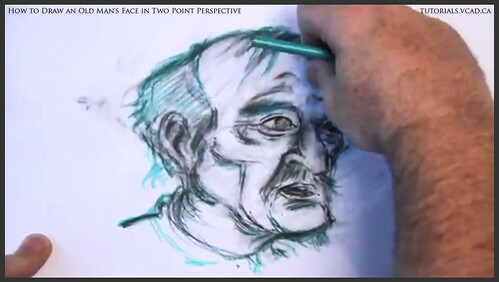 Now we are ready to erase some of the lines. 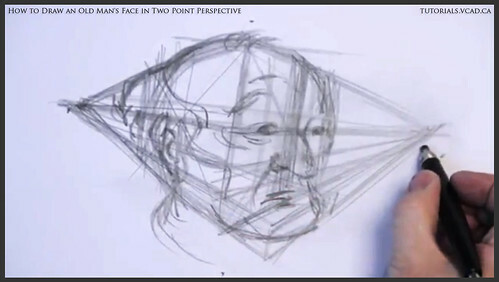 Get rid of the lines you don't need. 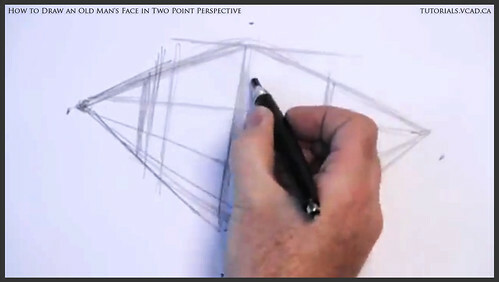 That is why we've used the pen to make the task easier. 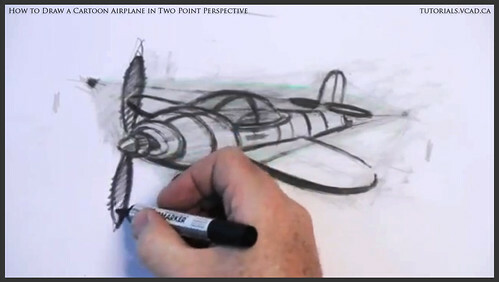 Later on you can scan your drawing and add lines on the computer or you can move on with your pencil drawing. 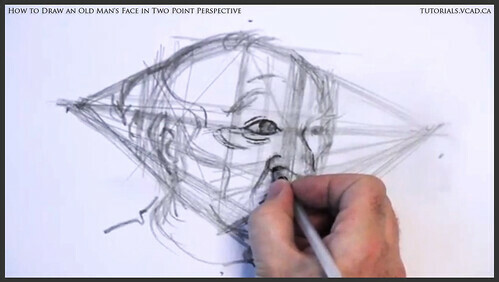 Don't be afraid of erasing lines because you can always get them back. 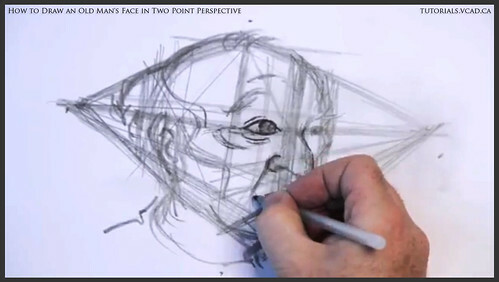 Some of the artists erase so much that it looks like that there is almost nothing left, but in reality the lines that remain on the paper will give sense of depth to the drawing. 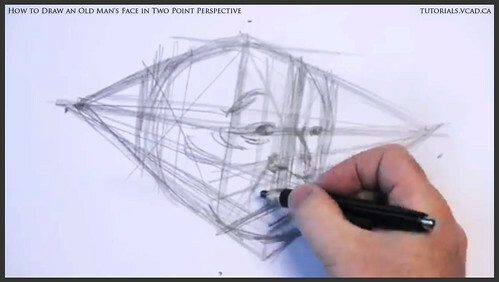 Let's start do cleanups and knocking lines back in. 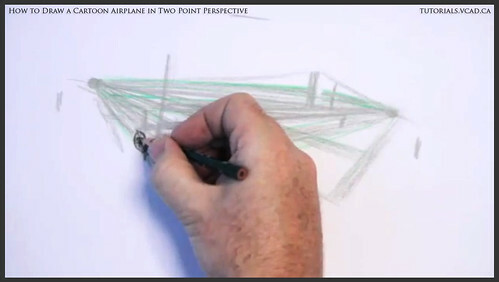 Pick up the lines, simplify the drawing and add some creative details.